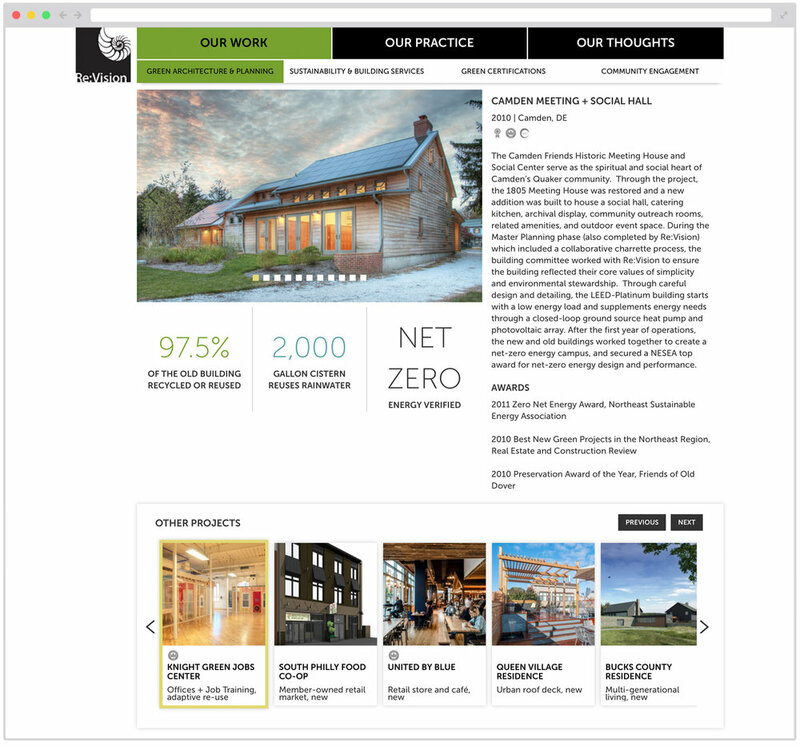 For Re:Vision Architects (RVA), the principles and practices of sustainable living are fundamental to their mission. The firm has been "walking the walk" of sustainability since the beginning, defining new boundaries for high-performance architecture, green certification, and community engagement. I was honored to join them and my friends at I-SITE to redefine their website in 2014. References to sustainability are woven in to the design, language, and functions of the site. Graphic elements and page layouts respond to the scalable proportions of the Golden ratio and Fibonacci's tiling—inspiration drawn from RVA's logo. A central feature of their site is their body of work, which includes a fun and functional "Build Your Portfolio" element that allows visitors to curate their own stack of projects. The site is fully responsive on desktop and mobile devices, and is regularly updated by RVA staff. Project profiles include links to related projects with the help of a robust database. Square tiles encapsulate stats, and credentials. A persistent contact form invites conversation.